Paul White has been interested in the life and work of transhumance shepherds since his introduction to Romania in 1993. In this article, Paul focuses on the wolf…. Wolves are top predators, a ‘keystone species’ that play a vital role in promoting a healthy ecosystem. But how do they do this? Wolves are opportunistic hunters and will always prey on sick, old and genetically inferior animals first. This in turn strengthens the ungulate population such as wild boar and deer as only the healthiest specimens will go on to breed and perpetuate their species. Any carcass left behind after a wolf kill provides essential food for other species such as ravens, birds of prey, foxes and even brown bears. When wolves move into an area previously free of large predators, there is a significant change in the behaviour of deer, especially their grazing habits. Wolves are constantly moving in search of their next meal and it is this movement that unsettles their prey. Without the threat of predation, deer would remain static and overgraze important riparian areas close to rivers, which in turn stunts the growth of tree saplings and prevents grass and other plants from thriving. With deer forced to move on vegetation quickly recovers, providing a greater abundance of food and building materials for beavers to build their dams. Water collects behind these dams, forming ponds, and trees such as willow and aspen flourish. These trees offer shade in the summer months keeping the pond water cool, providing a more favourable habitat for frogs and fish, which in turn attracts birds such as kingfishers and herons. What I have described above is known as a ‘top-down trophic cascade’. 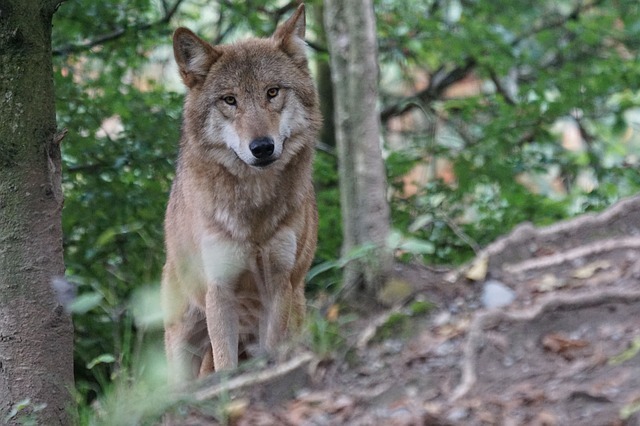 Commentators such as George Monbiot have suggested that wolves not only improve ecosystem health but they can also change the physical geography of a landscape. How easy is it to see wolves in Transylvania? The simple truth is that sightings are very rare and difficult as wolves are shy and elusive when they pick up our scent. Man is the wolf’s main predator and their experience is to regard humans as a threat. I have discussed this subject with transhumance shepherds and they tell me that the wolf is always aware of you before you are of them. If you are lucky you may get to see signs of their presence such as tracks, the leftovers of a kill, or maybe some fur on a tree where they have been scratching themselves. This all adds to the mystery of the wolf and why a rare sighting becomes extra special. Most villagers have never seen a wild wolf and the few recorded sightings are usually by rangers, foresters, shepherds, hunters and conservationists. The majority of these sightings are at a distance and by people walking alone. One of my friends described the time he saw three wolves standing together not far from my village. He said it was autumn, very early in the morning, low light and foggy. He was walking along a forest trail and then into a meadow. He glanced up to higher ground where the meadow connected with forest when he noticed three wolves watching him. He said, as soon as he looked back at them they immediately turned and melted into the forest. The shepherds I connect with are resigned to the fact that they will suffer some livestock losses during the grazing season, even with the use of guardian dogs. They do their very best to protect their sheep, but occasionally a watchful wolf finds a target that strays away from the flock. If there are two or more wolves working together, then their chances of a kill increases. They can be in and out of a sheep corral within seconds and shepherds have described hearing a commotion and by the time they are in a position to engage, they have seen a wolf running away from the flock with a large lamb. Wolves have well developed and powerful neck muscles, which enables them to hold onto or even carry live prey at speed. These muscles also provide protection to vital blood vessels in the neck. Livestock guardian dogs (LGDs) do not have these same attributes which is why it is common to see LGDs wearing spiked collars in the field. This is to redress some of the imbalance in a direct confrontation. 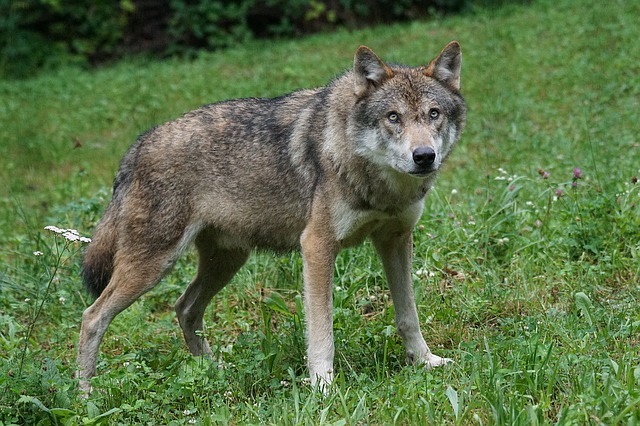 However, the bite force of a wolf is also superior to that of an LGD, so the dogs can only provide an effective deterrent when in sufficient numbers, preferably with the support of their human masters. In a one on one confrontation the wolf will almost always overwhelm a dog. Many people have an irrational fear of wolves, which has lead to centuries of persecution by hunting and trapping, leading to their near eradication in many parts of the continent. This is one of the great tragedies of the natural world as they are a “keystone species”, one of natures most important apex predators, considered to be vital “ecosystem managers”. But in reality how much of a threat are they to human safety? I went on a fact finding mission, starting in the village where I live, to find as many wolf stories as I could. I was looking for accounts of sightings and or possible conflicts. After several months of research I managed to obtain several stories of bear maulings, nine in fact by first hand survivors. But I did not find a single account of a wolf attack on a human in living memory. Theoretically there is a risk, as the wolf is a large and formidable predator. However, most recorded attacks on humans from around the globe were by individuals suffering from injury, rabies or that felt threatened when cornered or trapped. I believe that wolves are far more wary of us and in most circumstances will avoid contact or confrontation. Do wolves venture into human inhabited areas of Transylvania? Yes, but far less so compared to bears. When they do it is usually in the depths of winter when food is scarce in the mountains and usually under the cover of darkness. They tend to target stray dogs on the streets, but I have also heard accounts of wolves killing and eating large guard dogs on chains and taking livestock from backyards. Although such events are rare this demonstrates their adaptability, intelligence, and ability to assess risk when searching for food. How many wolves are there in Romania? The reality is that the figure is unknown. There have been estimates that there are about 2500 individuals, but this is thought to be an overestimate. Statistics are gathered by hunting organisations, so they have a vested interest in inflating the numbers of wolves as this will increase the hunting licences issued in any given hunting season. Wolves range over large territories and it is thought that the same individuals are being counted more than once by different hunters. Before the trophy hunting ban commenced in 2016 between 10-30% of the wolf population was hunted each year. There are now calls from farmers and hunters to have this ban overturned due to an increase in livestock losses and reduced ungulate numbers, but again these numbers are hard to verify. Sparks, Alan E. “The Wolves of Transylvania.” International Wolf Center, 2011, www.wolf.org/wp-content/uploads/2011/11/Pages-from-spring2011.pdf. Last accessed 11th December 2018. Dale-Harris, Luke. 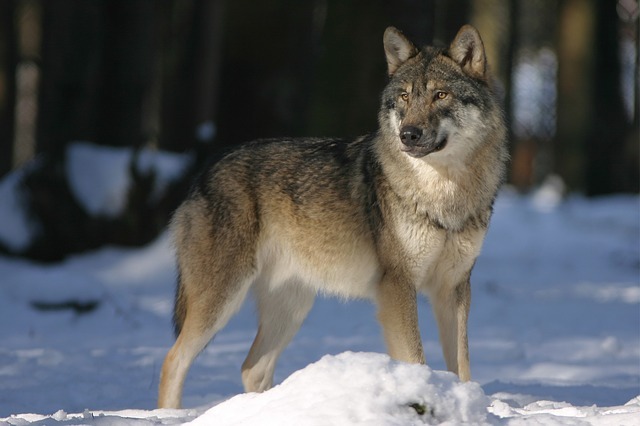 “Bullets and False Statistics – Transylvania’s Wolves in Peril.” The Ecologist, 29 Apr. 2014, theecologist.org/2014/apr/29/bullets-and-false-statistics-transylvanias-wolves-peril. Last accessed 11th December 2018. “Wolves & Our Ecosystem.” Living with Wolves, www.livingwithwolves.org/about-wolves/why-wolves-matter/. Last accessed 11th December 2018. About the Author: Since Paul White’s first visit to Romania in 1993 he has been documenting a wide range of subject material including human ecology and wildlife conservation, with a specific interest in human/predator coexistence. Paul was the former founder and director of Transylvanian Wildlife Project from 2008 to 2014 with the aim of preserving and protecting native wildlife and habitats. For further reading please follow the link to his blog Wild Transylvania.